The windows are the eyes of your home — giving you a clear, refreshing view outside to the inviting sights and sounds of nature. Attractive windows enhance your home’s curb appeal, making guests feel welcome. And the right windows improve your home’s safety and energy efficiency. In other words, your home’s windows are a vital investment in keeping your dwelling secure, comfortable, efficient, and attractive. Siding & Windows Group will guide you in choosing the right replacement windows, and you’ll get a strong return on investment. Of course, it helps to know what styles and frames will look and function best when you’re ready to choose new windows for your home. So here’s a closer look at what to consider when you want replacement windows. As a homeowner, you can choose from so many styles for windows, the choice might seem overwhelming. We’ve simplified the choices for you to give you a sense of what’s available and what might be the best option for your home. 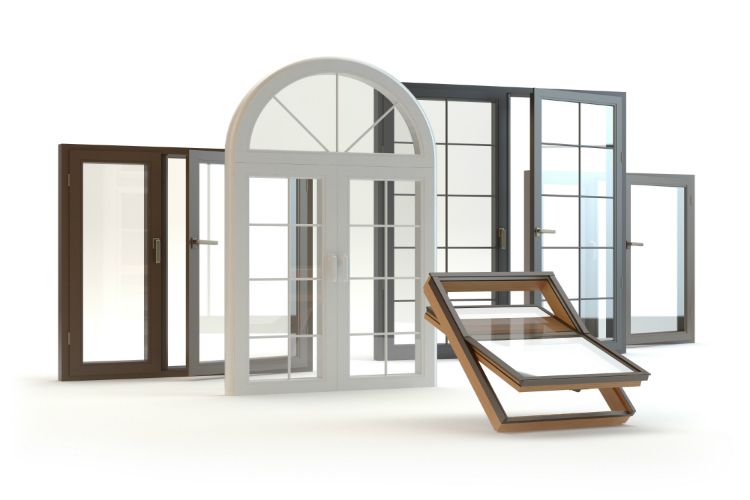 *Hung windows are a highly popular choice for American homeowners. *They open up and down easily. *They come in two types. Single-hung windows only open at the bottom, while the top is fixed in place. Double-hung windows can open at both the top and bottom. *Slider windows open from side to side, rather than bottom to top or top to bottom. *These are a great selection if your window is much wider than it is tall, such as in a broad bay window. *Casement windows are hinged at the side. They have a crank handle that allows them to open and swing toward the outside. *They’re effective at increasing ventilation to a home. *They’re often used in areas where hung windows and sliders are not easy to use, such as in the small wall space behind your kitchen sink. *Awning windows have a hinge at the top. Their crank handle opens them up and out. *They can remain open during rain without the risk of getting your window sill wet. Homeowners have a wide variety of options when it comes to selecting window frames that function smoothly while making your home pop from the curb. *Wood offers a classic, natural appearance popular with homeowners because it looks great with just about any style home. *Wood provides good insulation because it doesn’t let heat and cold escape your home as easily as other materials. *With quality craftsmanship and proper installation, wooden frames can last for generations. *Remember that wood can swell, shift and rot in humid climates. It is also subject to pests like termites. *Wood needs regular upkeep like painting and sealing to perform at its best. *Vinyl is a low-maintenance option that is easy to care for. *Vinyl frames are available in many colors and match well with homes that have vinyl siding. *Vinyl is cost-effective, which makes it a popular option for rentals and starter homes. *This style frame combines wood on the inside of your home with vinyl or aluminum on the outside. *As a result, homeowners who choose wood-clad frames get the elegant look and feel of wood in their home, as well as the durability and low maintenance of vinyl on the exterior of their home. *If not installed properly, wood-clad frames won’t maintain a tight seal and will be subject to deterioration on the wood side. *Composite frames consist of manmade materials made with wood shavings, glass fibers, and recycled plastics. *They mimic the beautiful look of wood while being easier to maintain and longer-lasting. In addition to thinking about styles and frames, these questions can be useful as you select the best new windows for your home. *If budget is your number one concern, such as on a rental, less expensive vinyl windows may be your best option. *But keep in mind, quality counts too. Opt for a well-crafted window that will look the way you want it to and last for years to come. *Energy-saving qualities, ease of care, and proper installation can all help you maximize your budget and ensure long-term value. What warranties come with the windows you’re considering? *Consider all the elements of the warranty before making a choice. *Find out if the warranty handles fogging between window panes, which is a common challenge with insulated windows. *Do some research to find out how well homeowners like the quality of a specific manufacturer’s craftsmanship. Once you’re ready to move forward with your replacement windows, request a few estimates from professional, reputable local contractors. Siding & Windows Group takes pride in providing Chicago area homeowners with expert craftsmanship and superior products that add beauty, security, and long-lasting quality to your home. We invite you to learn more about our window replacement services and contact us anytime for a free, detailed quote for new windows you’ll love for years to come.